You can do this! Our courses are jam-packed with everything you need to be a staging phenomenon. The courses are presented in a clear, concise, and fun format, so you will be prepared for your first client! Effective staging begins with the principles of interior design. Speak to your clients with confidence when you possess expert skills and knowledge. As one of the Top 5 Staging companies in North America, we have learned how to build a successful business. Learn from our experience and mistakes—hey, we like to keep it real! No need to reinvent the wheel, just get rollin’. Raising the bar for the staging industry is our passion. 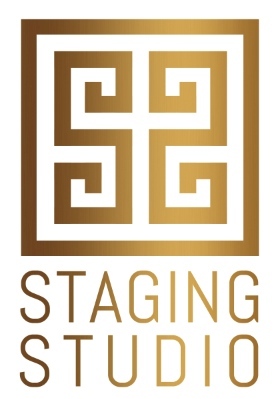 We make sure that Staging Design Professionals™ are the most highly trained and confident stagers on the planet. We don't mess around. You will know your stuff! We are going to meticulously show you every last detail of how to be recognized as an expert in the art and science of staging. Days 1 & 2 - Soak up our full Master Level training. Learn design principles, staging strategies, step-step business plan, education-based marketing, and much, much more. Day 3 - Hands-on staging experience at an occupied home. Preview a vacant home, and then head back to the warehouse for a tour. Prep and pull for vacant stage. Day 4 - Stage a vacant home. Get your first set of photos for your portfolio and go home with all of the contracts, forms, checklists, and confidence to start or build your staging career. Oh, and your beautiful new personalized website. How to select the correct size chandelier, rug, art, furniture, etc. Change the World - You select which of our non-profit partners will receive a donation.